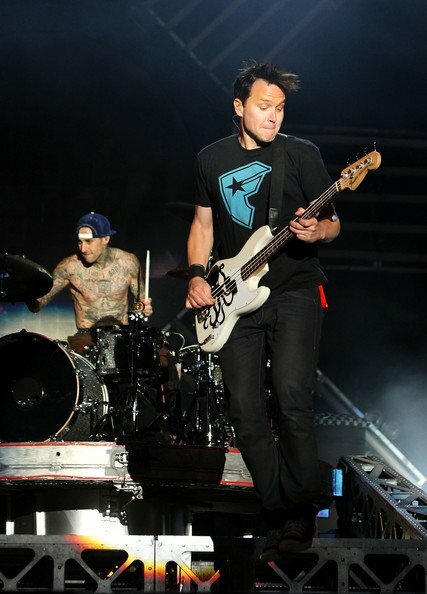 Photo gallery of members of Blink 182 wearing chucks in casual and performance situations. 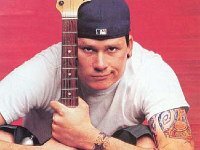 1 Blink 182 Tom DeLonge posed with his guitar. 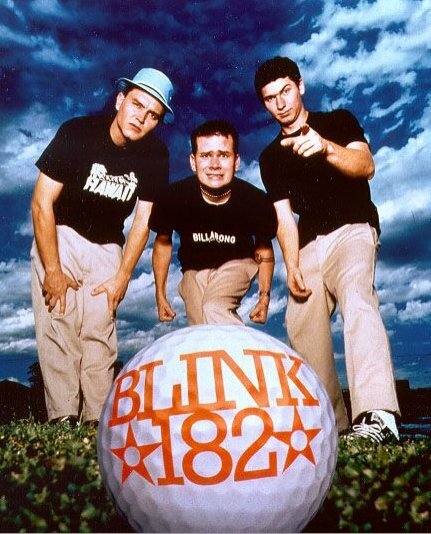 2 Blink 182 Posed shot of the band in front of a golf ball. 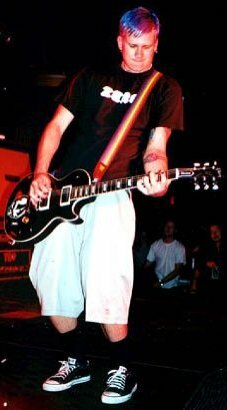 3 Blink 182 Tom DeLonge in performance. 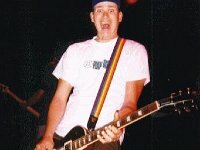 4 Blink 182 Mark Hoppus in performance. 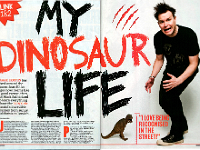 5 Blink 182 Photo from a magazine article about Mark Hoppus. 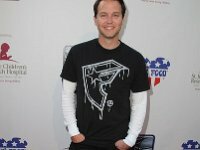 6 Blink 182 Mark Hoppus at a celebrity photo shoot. 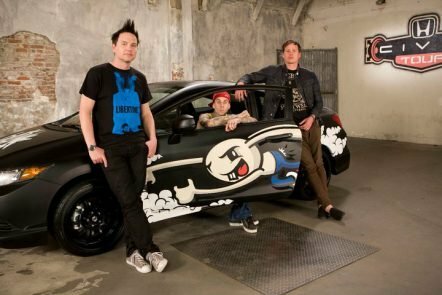 7 Blink 182 The band posed with a sports car. 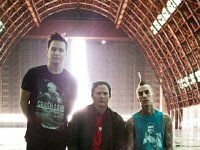 8 Blink 182 A second shot of the band with the sports car. 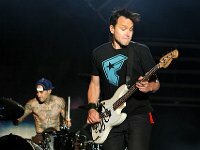 9 Blink 182 Blink 182 in performance. 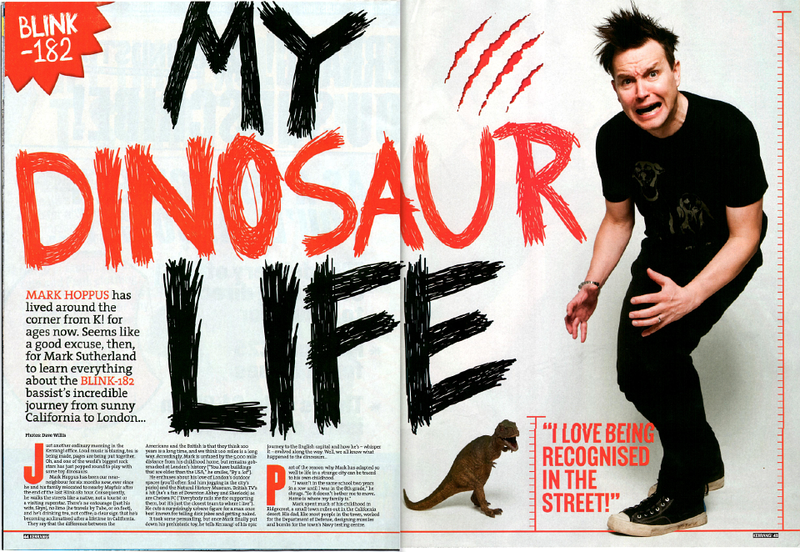 10 Blink 182 Mark Hoppus and the band in a parking lot. 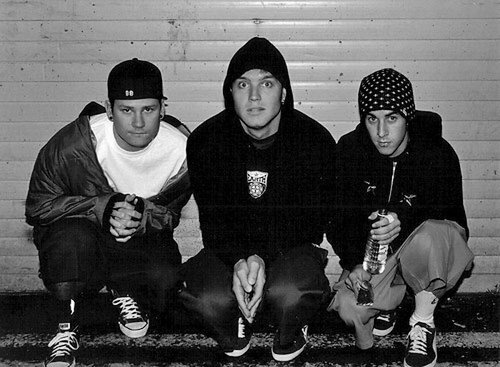 11 Blink 182 Posed shot of the band. 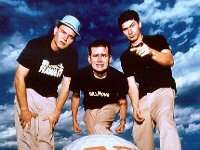 12 Blink 182 Posed shot of the band. 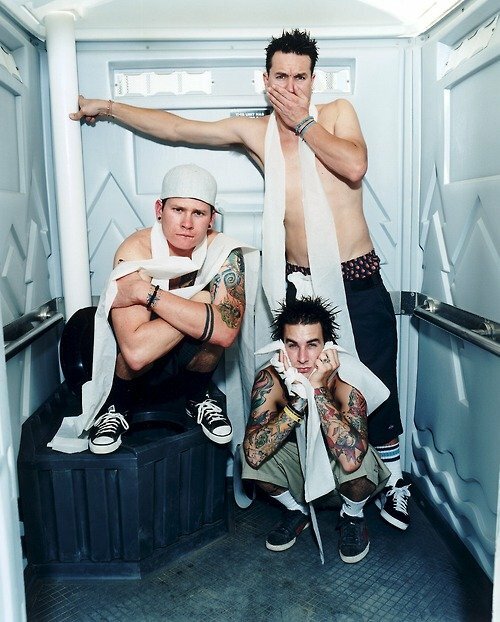 13 Blink 182 The band inside an outhouse. 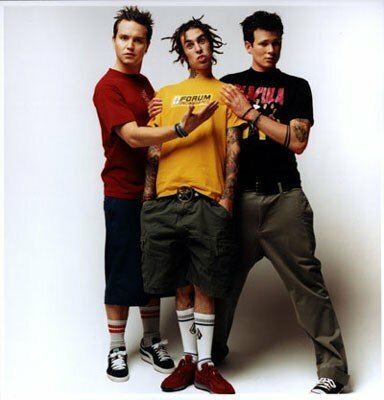 14 Blink 182 Posed shot of the band. 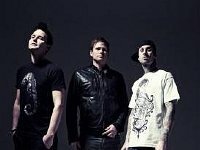 15 Blink 182 Tom DeLonge and the band. 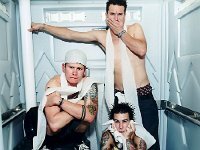 16 Blink 182 Revealing picture of the band. 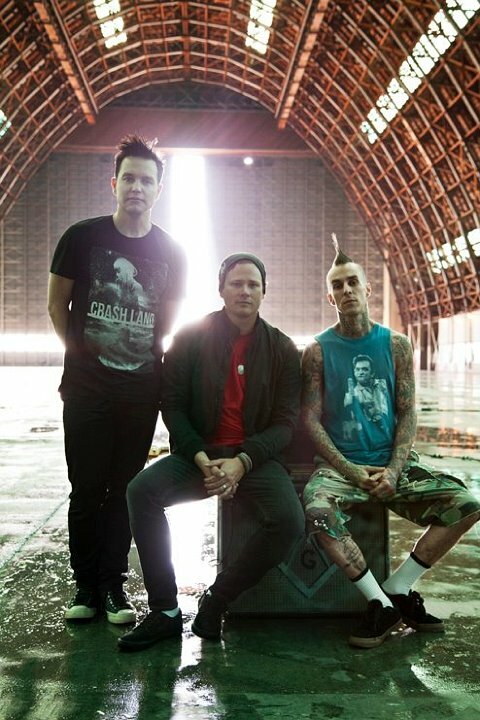 Drummer Travis Barker is wearing chucks. 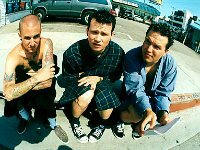 Blink-182 is an American rock band formed in Poway, a suburb of San Diego, California, in 1992. 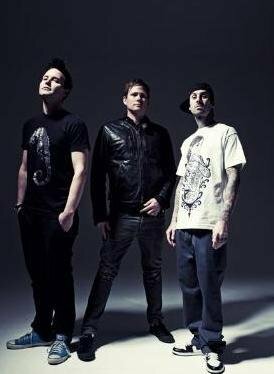 The trio consists of bassist and vocalist Mark Hoppus, guitarist and vocalist Tom DeLonge, and drummer Travis Barker. The band is considered a key group in the development of pop punk music; their combination of pop melodies with fast-paced punk rock featured a more radio-friendly accessibility than prior bands. 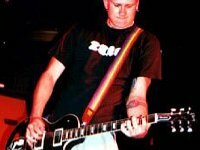 The group, with original drummer Scott Raynor, emerged from the Southern California punk scene of the early 1990s and first gained notoriety for high-energy live shows and irreverent lyrical toilet humor. 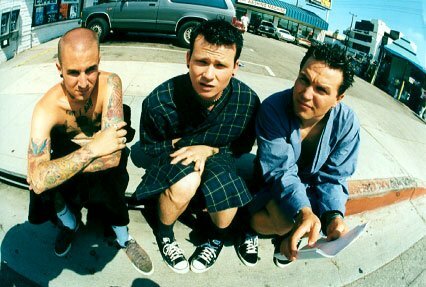 Blink-182 has sold over 35 million albums worldwide. 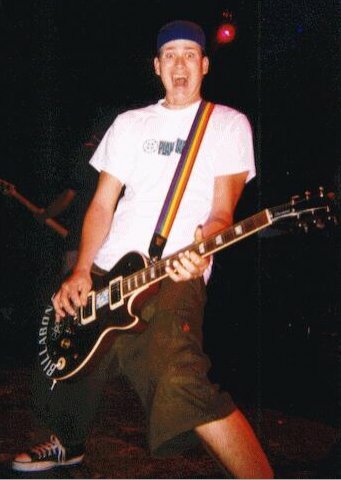 In 2011, The New York Times asserted that "no punk band of the 1990s has been more influential than Blink-182," stating that "its sound and style could be heard in the muscular pop punk of Fall Out Boy or in the current wave of high-gloss Warped Tour punk bands, like All Time Low and The Maine."